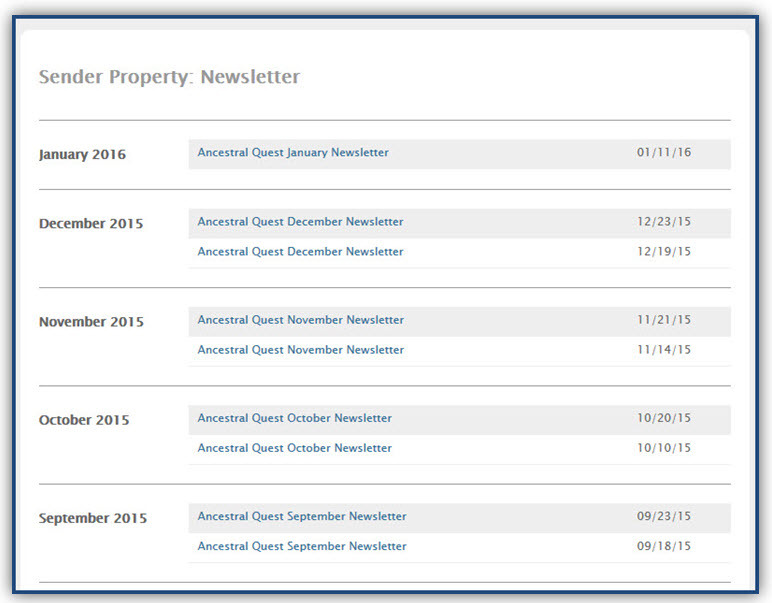 If you have missed one of the issues of the Ancestral Quest Monthly Newsletter you can find them on our website for easy access! 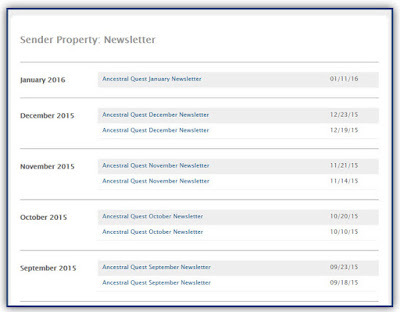 Click on the one you've missed and you'll be able to download it as a PDF! 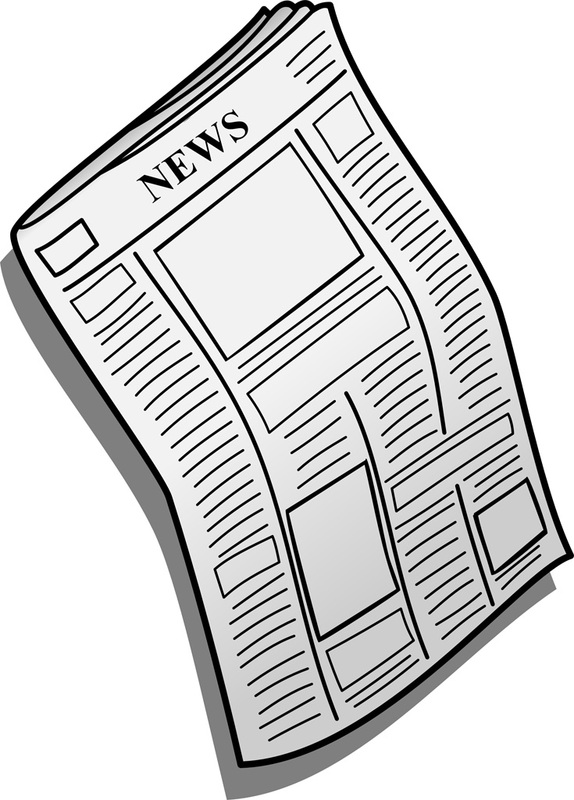 Enjoy catching up on all the news. Where is my Family File? Your old computer needed replacing, either it was so slow you decided to replace it or it may have started crashing on you, either way it was replaced and now you are trying to set up all your favorite programs on this new computer with a new operating system and are not able to locate anything familiar. 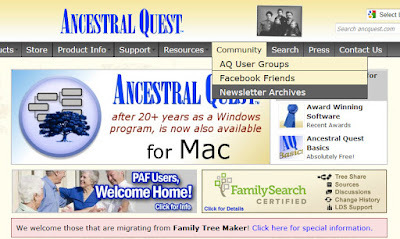 The first thing that is important is to re-install Ancestral Quest which is done from the website here: http://ancquest.com/ver14.htm. Download either AQ14s.exe or AQ14c.exe, then install the program to your new computer. If you need your registration key and are unable to locate it you can email a request for it from support@ancquest.com or call us at 801-280-4434. Copy your family files onto an external device or a flash drive, remove and plug your device into your new computer. When you open Ancestral Quest it should open to a blank file. Depending on the file types you've saved on your device will determine how you open them up to continue your family history work. 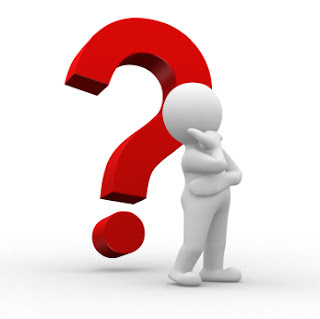 Once you have gotten to the place where you begin to look for the files, remember they are on an external device which will have a different letter designation, like F, G, I, J, etc. To locate that in the open, restore or import screen, click on the down arrow to show the location of your external device. 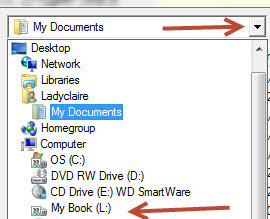 In this case the individual would click on the "L" drive and their files would show up in the list to choose from. Sometimes your files are transferred by a repair company and they have put everything on a CD for you, in that case you would do the same but locate that CD and the drive letter and click it too. Either way you will be able to locate your family data files to continue your family history research!